England right-back Alex Scott has won it all in her time with Arsenal Ladies but a vintage spot is reserved in her memory banks for a three-year stay with the Boston Breakers that was brimming with moments to savour. As coverage, interest and love of the women’s game continuously reaches new levels, we are now at a point where the players are no longer so hidden away. Supporters from every pocket of the globe can keep track of their progress and those in the upper reaches of the sport can now dedicate the time to their career that it deserves. 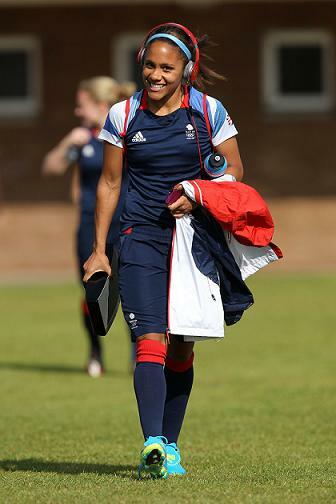 Arsenal Ladies’ Alex Scott is one who has seen the leaner times of women’s football and she is among the most recognisable figures currently performing at the top level. Alex, 29, became just the seventh female player to reach a century of England caps when she appeared as skipper against Russia in Euro 2013 and she is vice-captain (to Casey Stoney) for her country at present. At club level, her CV is illuminated with silverware and in the second of her three separate spells with Arsenal to date she won an unprecedented quadruple. The 2006/07 season brought the FA Women’s Premier League, the FA Women’s Cup, the FA Women’s Premier League Cup and the UEFA Women’s Cup. In the final of the latter competition, Alex notched the winner as the Gunners saw off Swedish side Umeå by a solitary goal over two legs. The former Birmingham City full-back also had a noteworthy three years in the US with Boston Breakers, at the time part of the Women’s Professional Soccer division. She was joined at the club by England legend and current Arsenal colleague Kelly Smith and Alex’s time with the Breakers contributed hugely to the extremely accomplished player she has since become. In addition to honing her capabilities out on the field, her Boston days also touched on a huge part of who she is with regard to a particular interest area. With the music theme that interlinks with football on here, Alex has been talked about time and time again by past and present teammates in their interviews. She is typically the dressing room DJ for Arsenal and England and back in 2009 she began to explore her musical passion in another way, as she explains. The Breakers’ 2010 roster included a number of players who have delved into music talk on here, including midfield legend Kristine Lilly, Bristol Academy’s Spanish star Laura del Río, 2013 NWSL champion Tiffany Weimer and one-time USWNT midfield mainstay Leslie Osborne. During that season, the team eventually enjoyed a surge in form under 1999 World Cup-winning coach Tony DiCicco that took them to 2nd place in the regular season and one game away from reaching the Championship game. Tactics and coaching are of course vitally important ingredients in success on the pitch but a good sound system in the changing room can go a long way too! Members of the 2010 Breakers squad seemed to agree at the time that bringing in some high-quality speakers for the players to listen to before kick-off made a big difference in creating a lively atmosphere they could all revel in and ultimately relax amongst. Alex felt she flourished in that environment and there was a leading track that she quickly thought of when we talked about her musical memories of Boston. Although Alex refers to Arsenal as ‘her club’, the Breakers are undoubtedly in her heart too and she can choose from so many memories to smile about. Whether it was the locker room piñata for defender Heather Mitts’ birthday, the jokes and antics of Canadian forward Christine Latham or getting to show friends and family around Boston, Alex has it all to cherish. She also recalls the time she got on the microphone with one of her teammates. The player who joined her is held in high regard by women’s football followers who are eager to see her back playing again. Alex’s teammate in question was WPS Player of the Month in July 2010 and has been on a journey of self-discovery in her lengthy comeback from three anterior cruciate ligament tears. Here is a flashback she will surely remember fondly. “When I was in Boston I remember singing on karaoke with Jordan Angeli. We sang Jessie J ‘Price Tag’ and that was one Jordan really liked. It is difficult to imagine an England team without Alex involved nowadays and since her debut against Holland in September 2004 she has played in three European Championships, two World Cups and also the London Olympics as a member of Team GB. Alex has also captained her nation and her attacking ability, which comes in no small part from her days as a striker, has brought her 12 goals from 106 appearances. Alex, who started playing for Arsenal at just eight years old, is also the person to go to when it comes to songs that set the mood in the midst of match day preparation. The likes of Gunners manager Shelley Kerr and England colleague Eniola Aluko have commended her choice of tracks on here in their interviews. Alex gives some background insight into her musical heritage and its significance to her in football as well as in everyday life. “I try to let other people put their playlist on but usually they end up saying ‘oh Al just put yours on’! I’d say I mainly like urban and r&b but everyone who knows me knows I just love listening to music. “Growing up, I had my dad’s influence with Bob Marley and reggae music because that side of my family are from Jamaica. I’ll always have my Bose speakers with me whenever I’m travelling and have music playing really loud so it’s very important to me. “‘The Miseducation of Lauryn Hill’ is one of my all-time favourite albums along with Amy Winehouse ‘Back to Black’. I love Mary J. Blige and I grew up listening to old r&b and rap through my parents. Dropping artists like Lauryn Hill, Nina Simone and Mary J. Blige into the conversation paints Alex’s taste in a smooth and soulful light but she takes some of that away with her response to the first tape or CD she ever bought! In the days before she became an integral player for England, London-born Alex had her love for football ignited by playing on the patch of grass in the local neighbourhood with her older brother. She was scouted while taking part in a boys’ 5-a-side tournament as one of the referees happened to be a friend of Arsenal Ladies general manager (at the time managing the team) Vic Akers. Now one of the women’s game’s most esteemed and successful defenders, Alex appears firmly in the plans of new England head coach Mark Sampson. What Sampson created at Bristol Academy before taking up the national team post last December was an extremely strong team unit and ethic, accompanied by an alluring playing style. Sampson led the Vixens to runners-up in the 2013 FA Women’s Super League, pushing Liverpool all the way to a showdown on the final day which Bristol ultimately lost 2-0. He has been very popular with players and staff in his career to date and Alex reveals something he has approved since taking charge, which may seem insignificant but has helped in its own way to establish a positive mood in the ranks. Soon after his appointment as Hope Powell’s successor, Sampson announced his first squad selection for a January camp in La Manga, Spain. Among the notable inclusions was the return of Boston Breakers forward and Alex’s quadruple-winning teammate from Arsenal in 2007, Lianne Sanderson, after over three years out of the national team picture. Another of the selections in the attacking positions was Toni Duggan, who will be representing Manchester City WFC in 2014. The 22-year-old made a strong impression at Euro 2013 despite England’s group-stage exit and she discussed music, football and life on here in her Everton days back in 2012. A lapse in concentration while in Spain had its consequences for her though, as Alex explains! “I’ll let you in on this. When we were in La Manga recently, Mark would give us tasks to do in training when we forgot something. The squad get-together also included competitive action as the Lionesses drew 1-1 in a friendly with Norway. American-born striker Melissa Bjanesoy equalised for the Euro 2013 runners-up with just a few minutes remaining after Eniola Aluko had given England the lead. The Chelsea forward is someone Alex shares a liking for up-and-coming artists with. In her first season with the Boston Breakers, Alex impressed enough against many of the world’s premier names to be selected in the Women’s Professional Soccer All-Star Team. In 2010, she had All-Star recognition again as she was named in Brazilian star Marta’s line-up to take on US goal machine Abby Wambach’s team. Alex was on the winning side as Marta’s XI won 5-2 in Georgia. Karen Bardsley and Kelly Smith were also on Alex’s team while Karen Carney and Eniola Aluko flew the flag for England on Abby’s XI. While Alex is on the same page as Eni Aluko with music, this cannot quite be said for all her career teammates! The party atmosphere she remembers from the Breakers’ locker room is a little bit different to the more typical pre-game scene here in the UK. However, an England striker who recently left Arsenal for Notts County Ladies does like to take it back with a classic which was popularised by Marvin Gaye and Tammi Terrell before The Supremes’ leading lady recorded her version. “I’ve found that compared to America people don’t really dance in England! 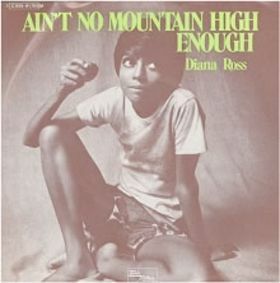 I’ve got to mention Ellen White though because she loves ‘Ain’t No Mountain High Enough’ by Diana Ross – I think everyone likes a bit of Motown. Before her retirement last year, Jayne Ludlow won 26 major trophies at Arsenal and the Wales midfielder will undoubtedly be spoken of in legendary terms for years to come. She now manages Reading FC Women and is one of numerous players to have moved on from Arsenal in recent times along with the likes of Steph Houghton, Kim Little, Ciara Grant, Yvonne Tracy, Katie Chapman, Gilly Flaherty, Gemma Davison and the aforementioned Ellen White. Among the players that manager Shelley Kerr has brought in are England captain Casey Stoney and her international teammate and goalkeeper Siobhan Chamberlain. Scottish international midfielder/attacker Christie Murray has also joined along with Netherlands defender Anouk Hoogendijk and holding onto vastly experienced players such as Rachel Yankey, Emma Byrne and Kelly Smith has been a much-needed boost. Shelley Kerr discussed player/coach Kelly Smith in her music/football interview on here and emphasised her importance to the club. Alex also signed a new long-term contract recently and she is looking forward to helping the team launch their bid to win back their WSL crown. Despite finishing 3rd last season, Arsenal, who were deducted three points too, were only beaten once in the league and they won the FA Women’s Cup and FA WSL Continental Cup. They are also in the Champions League quarter-final, having previously reached the last four, and will play Birmingham City over two legs in March. Fighting it out for honours at home and on the continent is something Alex is eagerly anticipating and she describes how the break has gone for her since the curtain came down on the 2013 campaign. 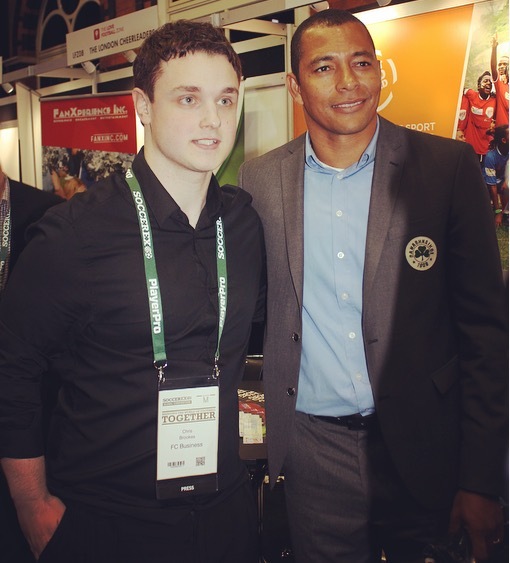 “It was a long season with all the changes at Arsenal and Euro 2013 so when it ended I knew my body needed a break. I knew I had to get away from football so I could come back feeling in love with it again for next season. Alex’s off-season also included an eye-opening trip to Rio de Janeiro with Street Child World Cup in which she got to witness first-hand the everyday struggle that surrounds young footballers and people in general in the Brazilian city. She has her own Academy with Kingston College and when training, studying and her dog Ella are not taking up her time she also writes columns for Sky Sports and the Morning Star. Although she was once a Sports Science Studies teacher, Alex has only ever truly been set on playing football and is thankful for her mother Carol for never trying to steer her away from that. I always want to hear the life lessons that players have been able to take from their career so how has football impacted upon Alex in this sense? “What I’ve learned is to never, ever take anything for granted, never for one moment. Also, always to be true and honest to yourself. In her time so far at the top level, Alex has got to work with and compete against some magnificent talents. Her own standing in the game is without question and there is surely no better way to get the inside track on some of the best out there than to hear it from the players themselves. With that in mind, Alex took on the regular final question that has certainly caused some thinking for those who have been interviewed on here previously! Here is Alex to introduce her 5-a-side line-up of the best players she has ever been on the same team as. This one requires the player to include themselves in the team so who would be the lucky four to feature alongside her? “Emma Byrne – I’ve played with her for so many years at Arsenal. She’s such a great goalkeeper and I think because she plays for Ireland she doesn’t really get the recognition she deserves. “Amy LePeilbet – I played with her for three years at the Breakers and I’ve never seen a more determined defender who’ll put her body on the line like she does. In midfield I would have to go for Kelly Smith, for sure – her passing range is unbelievable. “I’m thinking either Abby Wambach or Marta. I think Abby might be too powerful for 5-a-side so I’ll go for Marta. Prev Adam Smith interview: From all shook up to Soccer AM’s ‘nut down’ specialist!